Have you ever wondered what it would take to have a Node.js application deployed to AWS? And how much longer it would take to build out a highly available, redundant environment with failover capabilities that supports zero downtime deployments? In this tutorial, we will create a highly available and fault-tolerant architecture for deploying a Node.js application. We will then integrate this with Elastic Beanstalk and build out a CI/CD pipeline to support a smoother and faster development process. While there are many different ways to do that, this tutorial will take you through one of the easiest and most effective ways to achieve this goal all within an hour or less. First off, let’s discuss some of the terminologies used in this post as well as some background on the tools used, and also do a quick overview of what we will build out. Feel free to skip this section if you want to jump right in and get your hands dirty (see pre-requisites) or gloss through the bold notes for a quick read. Autoscaling is the mechanism by which you can automatically spin up (or down) additional compute instances to maintain a steady level of performance to match traffic patterns based on predefined rules i.e. cpu level on instances, network latency, throughput etc. Availability, also known as uptime, is the amount of time in which a system is in a functional state. This is usually measured as a percentage. In a highly available system, the goal is to have an application that is always available (or to have zero downtime). Redundancy is the duplication of critical components of a system to increasing reliability. If your AWS autoscaling group has a minimum of 1 instance, then your system is not redundant and may be prone to availability issues. Failover is the ability to switch over to a redundant system, component, or instance in the event of a failure of one of the systems, components or instances. Having redundancy and secondary or slave instances as a failover option will improve your fault tolerance. CI/CD stands for continuous integration and continuous delivery or deployment. Continuous integration is the practice of merging, building and testing developers work multiple times a day with the purpose of promoting collaborative development and early bug detection. Continuous delivery is the practice in which an application is released with greater speed and frequency. In a similar sense, continuous deployment implies automatically releasing to production after it passes a series of tests. You cannot have continuous deployment without continuous delivery. To do this we will use Terraform. Terraform is a tool provided by HashiCorp for managing “Infrastructure as Code”. Although we could have done this using AWS's native CloudFormation (or other software), in this tutorial we will be using Terraform to build out the Elastic Beanstalk infrastructure. This tutorial assumes some basic understanding of Terraform and will not go indepth into the internal workings or best practices. They have very good documentation so check out their site for more information. Jenkins is a continuous integration and continuous deployment/delivery tool. It has been around for quite some time and has hundreds (at least 1000+) plugins available for it. I would not do it any justice describing it's possible uses here. You can find numerous online docs that talks to CI/CD setup for almost any combination of languages and source code repositories using pipelines, as well as automating other routine development tasks. In this tutorial, we will be using Jenkins and the AWSEB Deployment Plugin for continuous deployment. Terraform will provision an environment that you will typically find in most production setups today. It will be multi-az for high availability and have separate subnets for security. The application and database instances will reside private subnet - which may not be ideal for development, however a public subnet is also created from which you can provision a bastion host or add your own reverse proxy for more complex or custom scenarios. An S3 bucket will be set up to store access logs, as well as a custom cloud watch metric to notify on application errors. Finally, Jenkins will be integrated to build and deploy our application to our new infrastructure. You will also need an AWS account with sufficient privileges to create a programmatic user, roles, and keys. 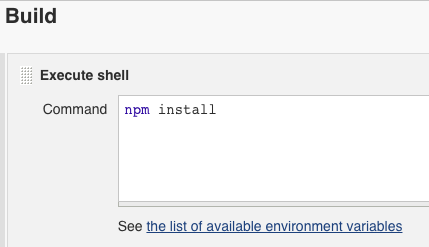 Download and install Terraform. As of writing this tutorial, the version that I am using is v0.11.7. An existing Jenkins environment with sufficient privileges to install plugins and configure builds. Before we can run the Terraform scripts, we will need to prep a few things in AWS. First, we will need to create an AWS user that has programmatic access to provision the Elastic Beanstalk environment through Terraform. For the simplicity of this tutorial, we will grant this user full access to Elastic Beanstalk, RDS, S3, and CloudWatch. In a real-world scenario, you should follow the principles of least privileges to further refine permissions to only what is needed. Refer to the following for IAM best practices and conditions that can be applied to custom policies. Select "Programmatic access" and click "Next: Permissions"
Download and save the credentials file to a safe place. Next, we will also need to create two service roles - one to manage the Elastic Beanstalk application and health monitor, and another to manage the EC2 instances. Repeat the above steps to create the EC2 service role i.e. 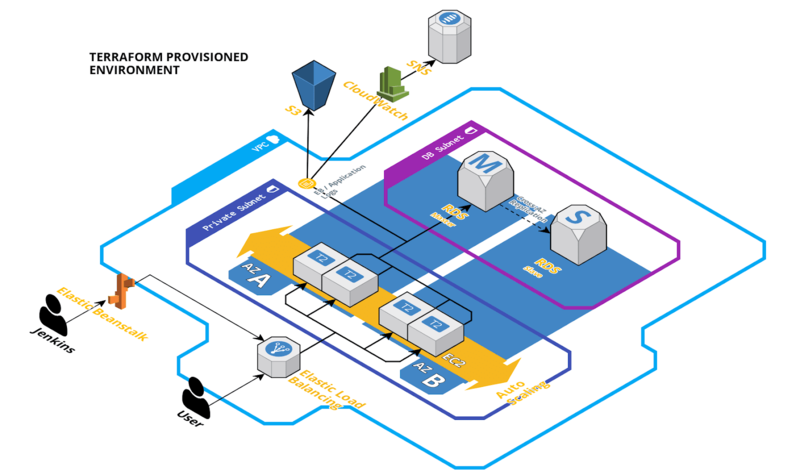 aws-elasticbeanstalk-ec2-role. Lastly, we will create a set of EC2 keys - you will need this if you want to EC2 instances. Note that if you change the key name, it should be of the format < client>-< project>-ec2-key to match the reference in the Terraform scripts. This file defines the client, project, and env variables that will be used for tagging and naming of some of various resources. Review and update the parameters in this file as needed. Make note of the EC2 key name, as well as the service role names and ensure that these match the values that were previously created in setting up AWS. This module creates an s3 bucket for access logs. This module is used to watch the nodejs application logs for errors, exceptions, and failed messages and then publish these notifications to an SNS topic. From here you can create your own subscribers to pick up and handle the errors accordingly. With the AWS setup and environment variables defined as needed, let's provision the Elastic Beanstalk environment. Next, generate the plan that will be used to build the environment. Update the command with the access and secret key of the AWS programmatic user that was created earlier. After about 5-10 minutes, you should have a fully functional Elastic Beanstalk environment running with a sample application. From the Terraform Outputs, use the Elastic Beanstalk cname in a browser to verify that the sample application is running. What good is an application without a backend database. Let's swap that out now with another application that has database connectivity. To do that we will setup a continuous deployment process using Jenkins. The sample application that we will be using is based upon another tutorial "setting up Node.js with a database". This application will give us a basic method for creating users and authenticating against a MySQL database from Node using Knex. 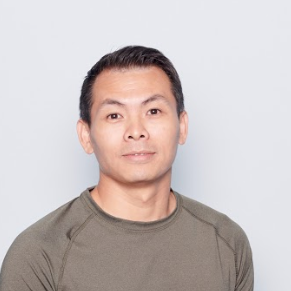 The application manages the database connection settings in knexfile.js - which will ultimately read from the environment variables that were previously created through Terraform. 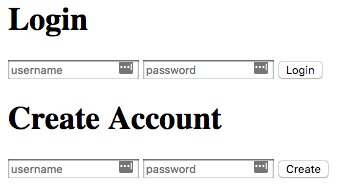 If you examine index.js, you will see that the application has two routes: one for login and one for createUser. The login function will try to authenticate the username and password against what is stored in the database and return a success or failed message. The createUser function will add the user and encrypt the password before storing in the database, only if the user does not already exist; it will not update the credentials for an existing user. After reviewing the application let's initialize the project and commit to a repository that we will use for continuous deployment. With our repo setup, let's move on to configuring Jenkins. Although the Jenkins job/pipeline could be configured using an agent that has Elastic Beanstalk CLI and other build tools, for simplicity we will be using the AWS Elastic Beanstalk Deployment plugin and configuring a freestyle project. The remaining steps assumes you already have an existing Jenkins instance with node/npm installed on the master or slave agent. If the plugin isn't already installed: Go to Jenkins > Manage Jenkins > Manage Plugins and install it. 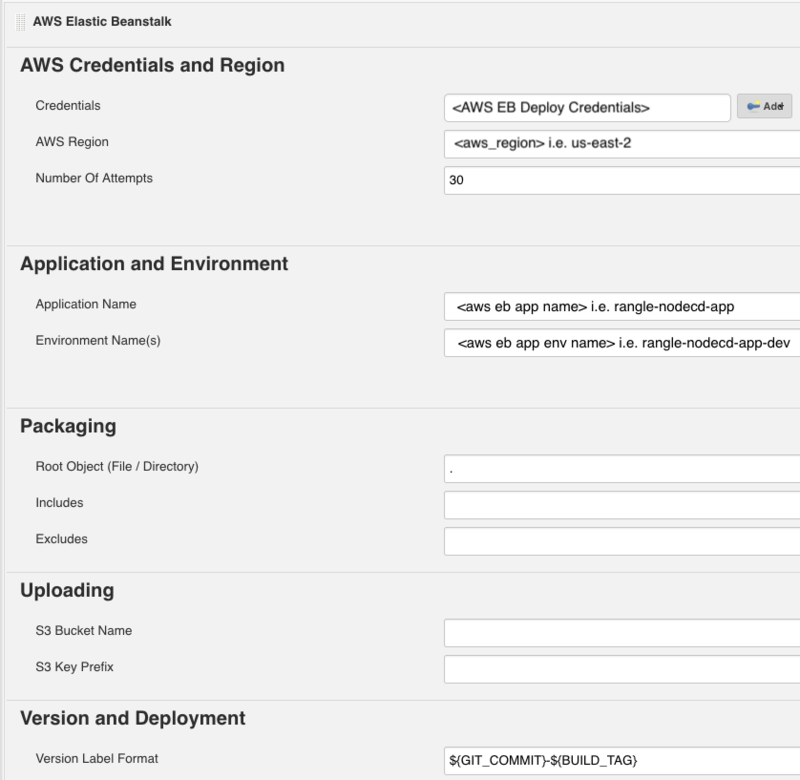 Add AWS credentials to Jenkins. This can be the same credentials that were used with Terraform or another set of credentials that has permissions to deploy to and update an Elastic Beanstalk application. 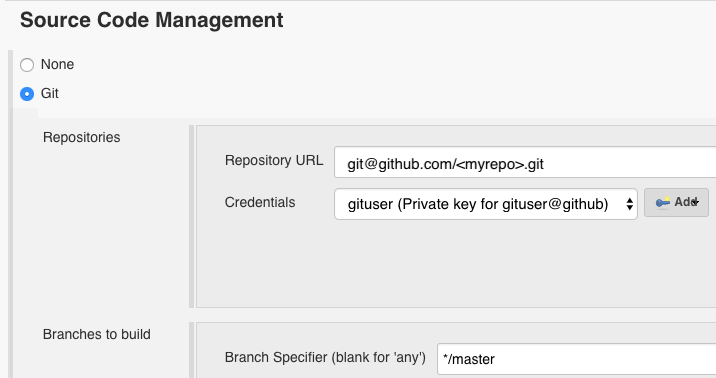 Add the GitHub keys that were used to set up the previous repository. Update SCM with the correct repository URL, credentials, and branch. Add a remote build trigger. 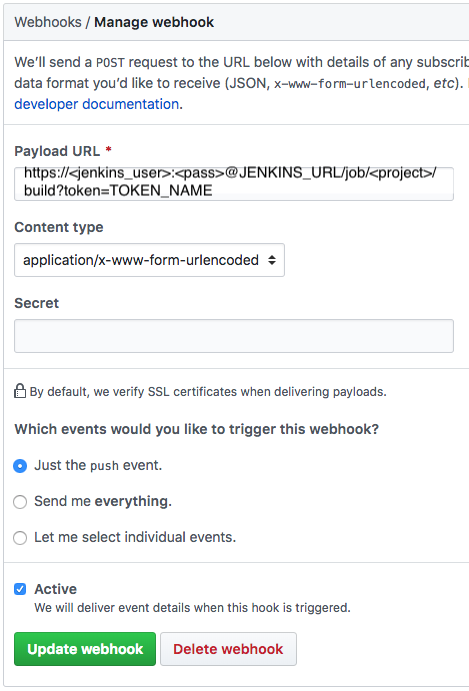 Configure a webhook in GitHub for your project. Add a build step to build the application. Add "AWS Elastic Beanstalk" as an additional build step to complete the deployment. Save your changes and an initial build should kick off. Let's get things flowing. Make an update to your application, commit the changes and push the change to master. You should see the build job automatically trigger. And if everything was configured correctly, the application will be packaged, versioned, and deployed to your Elastic Beanstalk environment within a few minutes.  Hit the Elastic Beanstalk cname again in a browser and marvel at your work. Congratulations! You did it! $ terraform destroy -var "aws_access_key=$AWS_ACCESS_KEY" -var "aws_secret_key=$AWS_SECRET_KEY" -var "aws_region=$AWS_REGION"
Now that you have completed this tutorial you should have a foundation from which you can continue to build upon. Treat the Terraform scripts as code, version them and use it as a starting point to build an immutable infrastructure. Customize it to meet your application requirements and use it to provision multiple environments. Look out for future posts where we will build upon this and perhaps even integrate with a Kubernetes cluster. For continued learning, why not explore more about Elastic Beanstalk and the various options that can be configured; dive into Terraform to see what other modules are at your disposal; or expand the Jenkins build job with a more robust pipeline.